← An Invitation? After FOUR Months? To Ello With That! How Many Millennials Actually Watch Jon Stewart? Conventional wisdom holds that Jon Stewart’s The Daily Show on Viacom’s Comedy Central is so valuable because it’s a magnet for millennials, the magic 18-29 demographic that marketers lust after. An executive at a small cable operator said after the company dropped the Viacom channels last year, “Stewart at ‘The Daily Show’ came up over and over again” in interactions with upset customers. Though Mr. Stewart’s primary audience consisted of “millennials,” the executive said, there were complaints from people in their mid-40s and mid-50s. Jon Stewart’s departure from “The Daily Show,” coming after the loss of “The Colbert Report,” not only creates a hole in Comedy Central’s lineup but leaves lawmakers and candidates without a critical outlet for reaching young voters. “Clearly both ‘Daily Show’ and ‘Colbert’ have been a draw for the younger age cohorts, especially relative to your mainstream news outlets,” said Amy Mitchell of the Pew Research Center. The median age of “Daily Show” viewers is 36, Ms. Mitchell said, and 39 percent were under 30 in 2012, the most recent data available from the Pew Center. But wait – consider this piece by Ethan Epstein in the Weekly Standard. As of 2013, The Daily Show was bringing in approximately 2 million nightly viewers. And according to an exhaustive Pew Survey from 2012, 39 percent of The Daily Show’s regular viewers are between the ages of 18 and 29. That means that approximately 780,000 millennials are regular Daily Show watchers. In the United States, there are 53 million people between the ages of 18 and 29. That means that a whopping 1.5 percent of millennials watch the Daily Show regularly! Let’s be generous and assume that, say, 5 million people watch The Daily Show even occasionally. That would still mean a paltry 1.95 million out of 53 million millennials are Stewart fans. That’s not all. According to Bill Carter, then of the New York Times, the average Daily Show viewer is 41 years old. Considering other cable shows alone, It’s Always Sunny in Philadelphia, Archer, American Horror Story, and Louie all have significantly younger audiences than does Stewart. And here’s my favorite nugget: 9 percent of the regular viewers of the nightly evening news – long derided as the news source of the geriatric set – are between the ages of 18 and 29. About 22 million people watch the nightly news. Thus, nearly 2 million millennials are regular viewers of the nightly evening news. That’s right: more than twice as many millennials watch Brian Williams, Scott Pelley, et al, than watch The Daily Show. In other words, the great millennial following of The Daily Show is a total myth. Perhaps Stewart can “destroy” it on tonight’s broadcast. This entry was posted in Uncategorized and tagged American Horror Story, Archer, Bill Carter, Brian Williams, Comedy Central, Ethan Epstein, First Draft, Hollywood Reporter, It's Always Sunny in Philadelphia, Jon Stewart, Louis, millennials, New York Times, Pew Research Center, Scott Pelley, State of the News Media, The Daily Show, The Weekly Standard, Viacom, Wall Street Journal. Bookmark the permalink. 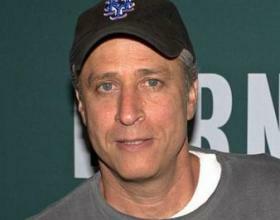 4 Responses to How Many Millennials Actually Watch Jon Stewart? In any event: the Weekly Standard is a standard only of dissembling, so I wouldn’t trust any numbers in it about anything. I’m guessing it’s just the live viewing, Mick. That also doesn’t account for all the web hits either. As for the Weekly Standard, it’s a little too easy to write it off 100%. Some things that Stewart brought to the table: Intelligence, wit, thorough preparation, and a willingness often to ask the unasked questions.